Until recently, the origin of the zero, one of the greatest inventions of humanity, was not clear. The enigma was unravelled little by little during the twentieth century, and a recent archaeological dating no longer leaves room for doubt—the zero was born in India. It was the Indian sages who first drew a symbol to represent zero, a digit that does not appear in Greek writings or among Roman numerals. 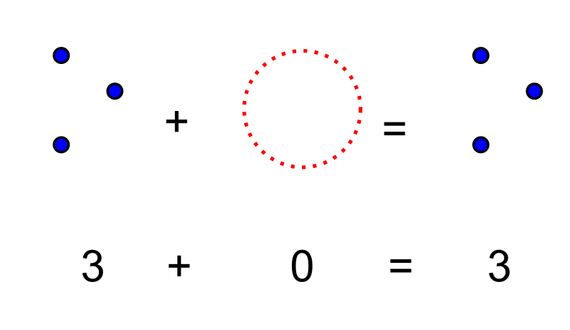 That simple symbol granted mathematicians the ability to operate with numbers as large as they wanted. But the great scholars of the classical period of mathematics in India went much further. Not only did they use zero as a simple number with which to complete their positional numerical system, but they also converted it into an independent number with its own identity, which they began to use in arithmetic operations (addition, subtraction, multiplication and division). Supported by this concept of zero, those outstanding mathematicians carried out a quiet mathematical revolution for almost a thousand years (from the fourth to the thirteenth century). 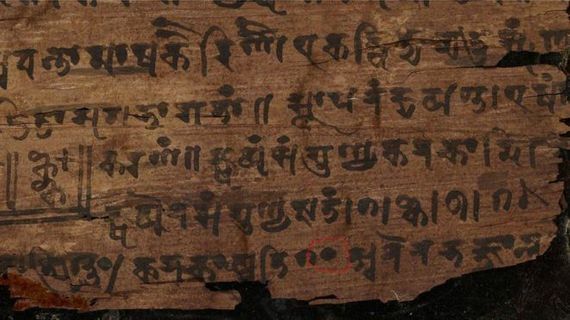 The Bakhshali Manuscript contains the symbol for the oldest known zero. Copyright: Bodleian Libraries, University of Oxford. Heirs of the Greeks, the Indians grabbed the baton in the history of mathematics to delve into arithmetic, separating it from geometry, and laying the foundations of algebra (which the Arabs then developed). The mathematicians Aryabhata (sixth century), Brahmagupta (seventh century), Mahavira (ninth century) and Bhaskara II (twelfth century) stand out. Around the year 500, Aryabhata devised a decimal system of positional numeration, which he describes in his treatise Aryabhatiya, a poem written in Sanskrit composed of 121 verses. Although he does not yet propose a symbol for zero, he does write the word kha instead. The positional decimal system with the inclusion of zero—the one we use today—has the advantage of allowing us to write any number with only ten different digits (0, 1, 2, 3, 4, 5, 6, 7, 8, 9), which makes it easier to operate with very large quantities, in contrast to, for example, the Roman numerical system (based on the letters I, V, X, L, C, D and M, which represent the numbers 1, 5, 10, 50, 100, 500 and 1,000). In a positional system, the value of each digit depends on its position within the number. For whole numbers, starting from right to left, the first digit corresponds to the units, the second corresponds to the tens, the third to the hundreds and so on (e.g. 5,876 = 5,000 + 800 + 70 + 6). In non-positional systems (e.g. the Roman system) a symbol always has the same value, regardless of the position it occupies, which requires such a large number of symbols for the large numbers that it becomes impractical to perform operations with them (e.g. in Roman numerals, 5,876 is MMMMMDCCCLXXVI). In the seventh century, the writings of the mathematician Brahmagupta are the first known in which zero is considered a number (not just a placeholder digit) and which explain how to operate with zero. He defined it as the result of subtracting a number from itself, and pointed out some properties of the new number: for example, when zero is added to or subtracted from a quantity, it remains unchanged. Brahmagupta also introduced negative numbers in his writings to indicate debts, while positives represented fortunes. So, for example, he explains that a debt minus zero is a debt, a fortune subtracted from zero is a debt and the product of two debts is one fortune. The oldest appearance we know of the symbol “0”—as we know it today—is an inscription in stone, which indicates the year 876. It explains that in the city of Gwalior (400 km south of Delhi), “gardens of 187 by 270 hectares were planted (an Indian measure equivalent to almost half a metre), so that they could produce enough flowers to give 50 garlands a day to the employees of the Chaturbhuj temple.” Both the 270 and the 50 are annotated almost as we would write them today, but the 0 is somewhat smaller and slightly raised, almost like a superscript. However, that inscription alone does not prove the origin of the zero to be Indian. In the ninth century, there was already extensive commercial contact between the Arab, European and Asian worlds, so the inscription is not old enough to prove that the figure was invented there. In fact there is an earlier inscription—made in the year 683 in the Khmer language of Cambodia—which contains another similar symbol for zero, as explained by the mathematician Amir Aczel in his book In Search of Zero. 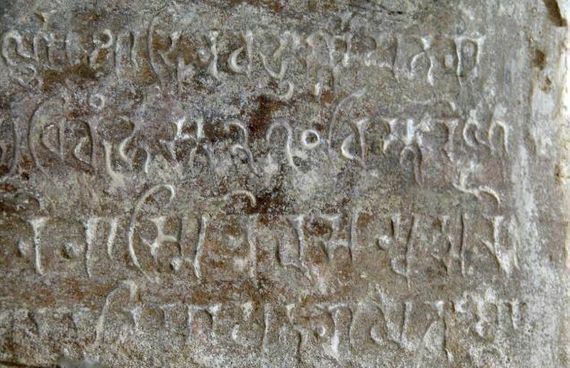 Prior writings, such as those of Aryabhata and Brahmagupta, point to an Indian origin. And following that thread we get to the Bakhshali manuscript, the oldest Indian mathematical text, which was found in 1881 and comprises a multitude of fragments written from the third century to the tenth century. The most recent and accurate archaeological dating, carried out in 2017 with the carbon-14 technique, confirms that this manuscript contains the symbol for the oldest known zero: a point printed on a piece of birch bark between the 3rd and 4th centuries. Having clarified its birth in India, there it continued to grow as a concept. In the ninth century, Mahavira delves into operations with zero, indicating that the multiplication of a number by zero is zero, but he gets the fraction wrong by claiming that if a number is divided by zero, it remains unchanged. However Bhaskara II, the last of the classical mathematicians of India, says in the twelfth century that a fraction with denominator zero indicates an infinite quantity. Bhaskara II is also known for proposing a procedure to solve polynomial equations of the second degree (ax2 + bx + c = 0) very similar to what would be used nowadays by any secondary school student. During the mathematical revolution that Indian scholars carried out over several centuries, they also operated with the irrational roots of other numbers—such as √2 or √3—in the same way as they did with rational numbers. This was partly because their arithmetic was completely independent of geometry, contrary to what happened to the Greeks, who did not conceive of irrational numbers as true numbers since they could not be compared or measured by a ratio of integers. The Indian mathematicians, on the other hand, did not go deeply into this differentiation between commensurate and incommensurable magnitudes of Greek arithmetic. They also made progress related to algebra. They used abbreviations of words and symbols to describe operations. For the unknowns, when there were more than one, they used the names of colours: black, blue and yellow. One might say that the zero was born in India, but was baptized in Europe. It was the Italian mathematician Fibonacci who popularized in the West the decimal system born in India and who began to use the word zero to designate the symbol of nothingness. The term sifr, empty in Arabic, developed into the Latin zephyrum, which ended up becoming the Italian zephyr and contracted into the Venetian zero, with which Fibonacci decided to name the “0”.